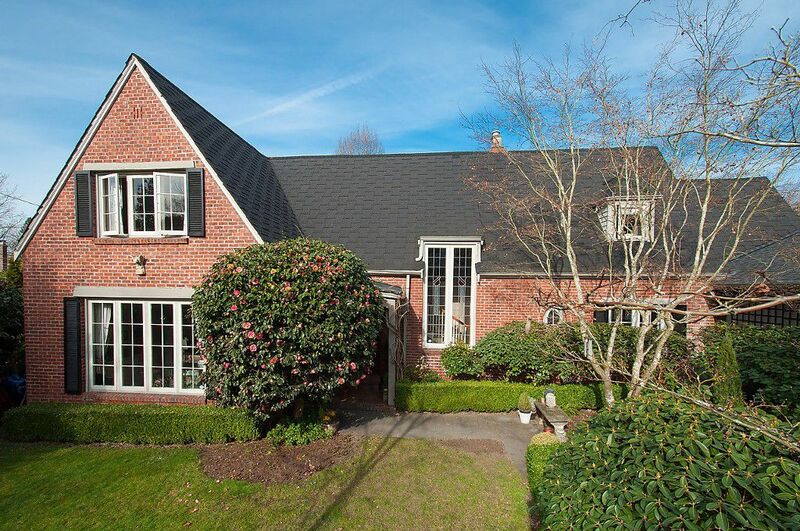 Gorgeous Tudor Style Home Generous entrance foyer, spacious living room overlooks lush gardens, formal dining room with built in leaded glass corner cabinets, high ceilings w/custom stained leaded glass windows & French Doors. Family roomwith gas fireplace off newer kitchen & French doors to garden patio. Mudroom, laundry and attached 2 car garage. Professionally landscaped front & backyards with mature gardens and private patios, fountain & pond. Custom built in cabinetry throughout the house. A quiet pocket in Quilchena, close to Point Grey Secondary, York House & The Arbutus Club as well as Kerrisdale shops.